I’ve been excited to try another Côte-Rôtie for a while now and when I found a decently priced one at a very nice wine store called Weimax in Burlingame I had to pull the trigger. The words, Kermit Lynch Blend, below the label also intrigued me. More about that later. On first opening, this wine was nice but had a little too much barnyard on the nose. It wasn’t bad just not as good as I had hoped — at first. I enjoyed a glass and left it out on the counter for the night. The next day it was exactly the wine I’d hoped for and more. The nose was very floral with accents of anise and dried cherries. The palate was elegant with nice puckery acidity and not-too-intense tannins (although they are definitely there). After a day open, it’s a beautiful wine and another testament to the potential for elegance that Syrah has when its made in the cool-climate that it so deserves. 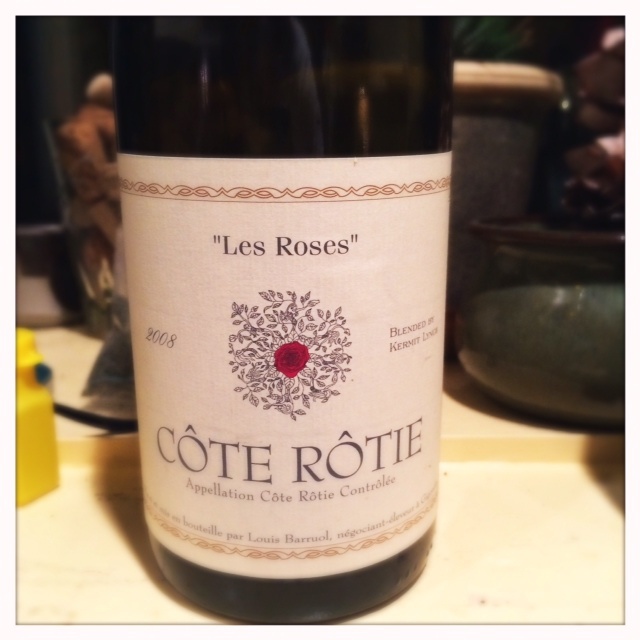 “Les Roses” is a blend from vineyards in the Côte-Rôtie which Louis Barruol sources for his Saint Cosme label. American importer Kermit Lynch shows up and together they choose a blend that satisfies Lynch’s aesthetic. Lynch’s blends are a way for him to articulate some of his ideas about how wine should be made. 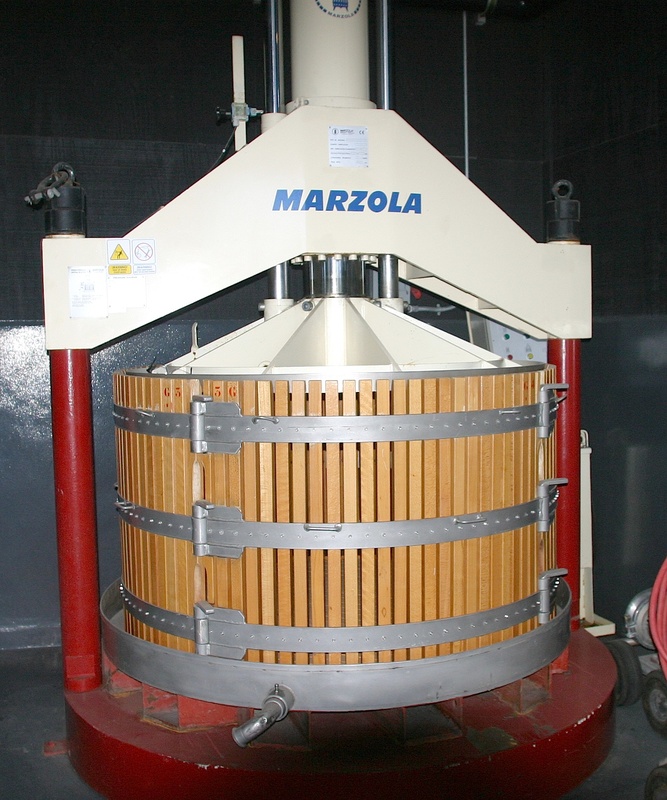 Lynch believes that wine should be unfined, unfiltered, and aged in neutral oak. Such is the case with this Syrah and I definitely approve. It’s fascinating that Lynch and his American palate can go to France and create cuvees or assemblages that represent a style that is so opposite to what the wine world has deemed to be high quality wine over the past ten years. Lynch has stuck to his guns through the years and as the pendulum swings back towards wines that speak more of place and less of new oak and technical expertise, his style is making a comeback. I look forward to making my acquaintance with more of Lynch’s blends and, of course, more wines from Côte-Rôtie. My wife and I had a couple of free hours to go wine tasting the other day, while my mother and stepfather were babysitting our little one. Normally when I’m back home in Sonoma I stay there for wine tasting excursions but this time we headed to Napa to Corison Winery. Corison is really a little gem of a place. I had been there about ten years ago and again about five years ago and was struck by how laid-back and down-to-earth it was compared with the rest of Napa’s winery estates. On my previous visits, the tasting room was in the winery with just a little table and there was a small parking lot and barely anyone there. Things have changed a little, the tasting fee that day was a whopping $40 for a library tasting and the tasting area was larger and more refined. It’s still right there in the middle of a working down-to-earth winery though and the parking lot is still small. Corison’s winemaker, Cathy Corison, has always made a more restrained style of Napa Cabernet. Cathy picks earlier than almost anyone else in Napa and makes wines that harken back to a traditional and perhaps more varietally correct style of Cabernet. As you can imagine, this restrained style did not go over too well with consumers during the hedonistic mid-2000s but it is making a comeback and Cathy’s benefiting from wine consumers beginning to see the light. The Syrah was a nice surprise for me because I didn’t know Corison even made one. On first nose in the tasting room I didn’t get a whole lot of complexity. Likewise on the palate — it was a balanced wine but seemed a tad simple. Still, I bought a bottle and I’m glad I did. 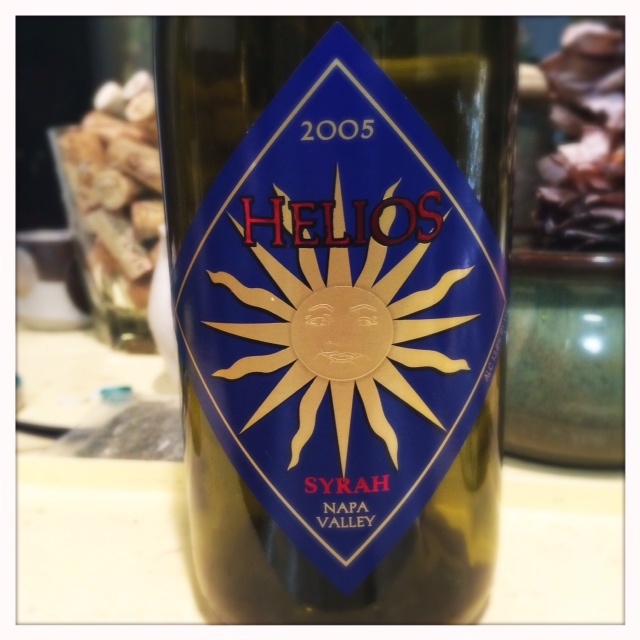 The Helios Syrah is far and away the best Napa Syrah I’ve tried. (I’ve yet to try a Lagier Meredith Syrah so you’ll have to take that statement with a grain of salt.) On the nose, I get black tea and fresh aromas of blackberry and flowers. There’s a great mid-palate too with good acidity and the fresh, just barely ripe, blackberry carries through. This doesn’t seem like a Napa wine but at the same time it does. There’s good fruit, there’s bright fruit, it’s not a super savory wine but it has the balance of a Syrah from cooler climes. I wish I had been able to try it when it was young because I’m guessing this wine wasn’t easy to handle at a young age and I would have loved to see how it has developed. The Helios label is a label that Cathy uses for certain vintages when good fruit comes available and at around $30 a bottle this wine is a great way to get acquainted with Corison’s wines but not break the bank (her lowest level cab retails for around $80). 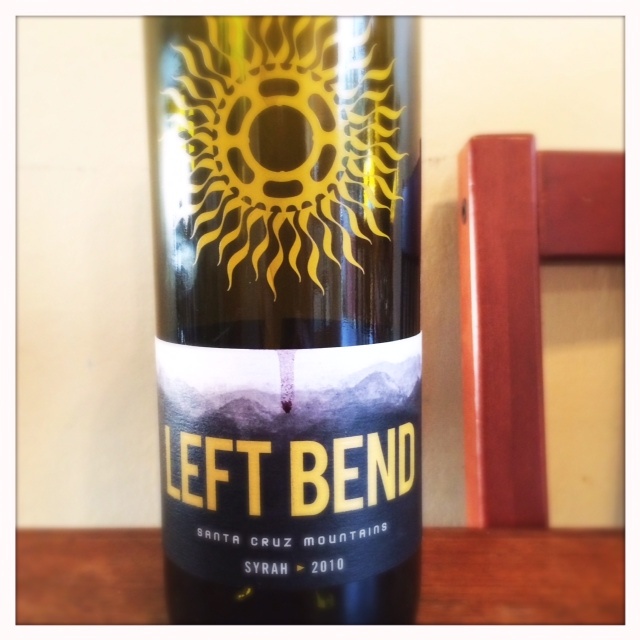 Left Bend Winery is the project of winemaker Gary Robinson and his friend Richard Hanke. At the moment, it’s an extremely low production winery. The Santa Cruz Syrah I tasted from the 2010 vintage was just recently released. It’s a very impressive wine. I was concerned that at 14.4% it would be a little too hot or too ripe but that was not the case. This is a purely delicious wine that’s worth seeking out if you’re a Syrah-head like me. Again, just like the Clenenden Syrah, this is not exactly a Syrah that anyone would mistake for a Northern Rhone but, in this case, that is not a bad thing. It has a lot of up front pure new world fruit but great acidity and a not-too-tannic finish that makes me happy. Now, don’t get me wrong it’s got a lot of tannins, it’s a very dry-ing wine but there’s more acidity here than tannins and that’s a good thing. Again, for a wine with a 14.4% alcohol, I don’t get any alcohol. The nose has beautiful floral, plum and bright strawberry aromas. I asked Gary why the wine didn’t have too-intense tannins and he said that it probably had something to do with the extended aging period of 27 months. He also said the wine was basket pressed as opposed to bladder pressed which may have led to less tannic extraction from the skins and seeds. 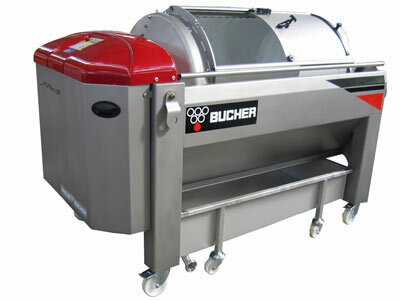 Basket presses can be less harsh than bladders because they don’t squeeze the seeds as tightly which results in less bitter tannins releasing into the juice. I’ve had some great, nicely balanced, Syrahs that have been pressed with the basket. A recent article from a winemaker magazine talks more about them here. Whatever the reason, this is an elegant Syrah that left me wanting to order more. Unfortunately, my wine fridge is packed right now so I’ll have to do some more drinking to make space. I think I can accomplish that. The five best California Syrahs I had in 2013. The Piedrasassi Syrah is one of my favorite Syrahs, a surprising wine because it’s so cool-climate yet made in Central California which in recent history has been a hot bed of HOT wines. This is a great example of how the Central Coast really can be as cool climate as it says it is. Copain Halcon: I almost forgot about this wine until I went through posts from the last year. I tasted it side-by-side with a wine from the same vineyard made by the owners of the vineyard. I liked Wells Guthrie’s version better and it’s a great example of how early picking and whole cluster fermentation can make for dramatic differences in wines made with fruit from the same vineyard. The 2011 Arnot Clary Ranch Syrah: According to Jon Bonné in his New California Wine book, this is sort of a beginning point for cool-climate Syrah in California and it drew a dividing line between cool-climate and warm-climate afficionados. Cool-climate fans loved it. For me it’s a transcendent wine that shows what Syrah is capable of in the right environment. I love this wine. With the wine at under 12% alcohol some might call the mid-palate a tad hollow but I love the elegance and pinot-like quality of this Syrah. Drew Family 2009 Valenti Syrah: Again, a wine like the Arnot Roberts that definitely draws a line in the sand. Some would say it’s picked too early and has an overly linear quality but in my opinion it’s just perfect. I have a 2011 which I’m excited to taste in a few years when it fleshes out a bit. Jason’s wine are meant to age. 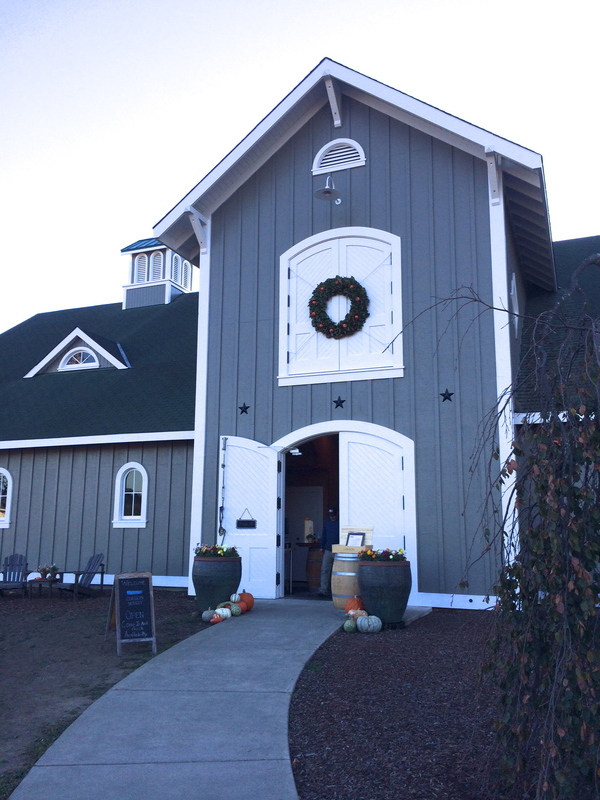 The 2010 Fort Ross Seaview Syrah: A wine that surprised me at the West of West wine event in Sebastopol. It’s a spectacular expression of cool-climate Syrah from the Sonoma Coast. It’s been a great year tasting cool-climate Syrah and I can’t wait to see what’s on the horizon for 2014. I picked up the Clendenen Family Syrah at my local wine shop the other day, playing a hunch that Jim Clendenen’s penchant for making higher acid, lower alcohol pinots as winemaker for Au Bon Climat would translate well to Syrah. The 13.5% alcohol was also a pretty good indicator that this would be a wine I’d enjoy. My hunch paid off. On a recent un-planned family side trip during the holidays my wife and I were able to stop by Au Bon Climat to taste some of Clendenen’s flagship wines and also get to know a little about the Clendenen Family project. We set up our 4-year-old son with his shows on the ipad and got to work. In general I was pretty impressed with all of Clendenen’s wines although I found a few of the highest end wines to be too oaky and, ironically for me, too high in alcohol. Some of the lower priced wines fell into the camp of wines that I enjoy more because they were aged in neutral oak and had lower levels of alcohol. The Clendenen Family project is meant to allow Jim Clendenen to explore other varietals beyond Au Bon Climat’s Chardonnay and Pinot Noir. The Clendenen Family wines are made in a fruit forward style that tends more towards balance and less oak treatment. Right up my alley. The 2005 Clendenen Syrah has aromas of meat and high-toned floral aromas of jasmine or honeysuckle. There’s strawberry and blackberry there also with black olive and licorice in the background. The strawberry aromas carry through to the midpalate and there’s a nice backbone of acidity. I would have loved to taste it when it was younger to see how it’s progressed because it’s pretty spectacular now. This is a wine that one wouldn’t exactly mistake for an old world Syrah because of that sweet fruit but it’s impossible for me to count that against it because it’s just plain delicious. This Syrah from the Los Alamos region of Santa Barbara comes from the La Cuna organically farmed vineyard. It’s a cool-climate area and judicious picking and lower impact wine-making practices have produced a wine that makes me excited about the future of Syrah in California.